Today’s recipe was created due to boredom and the need to go to the grocery store. Have you been there? Here is a delicious, 2 ingredient recipe. I used a 1:1 ratio. It’s good to travel with or for a quick at home snack. 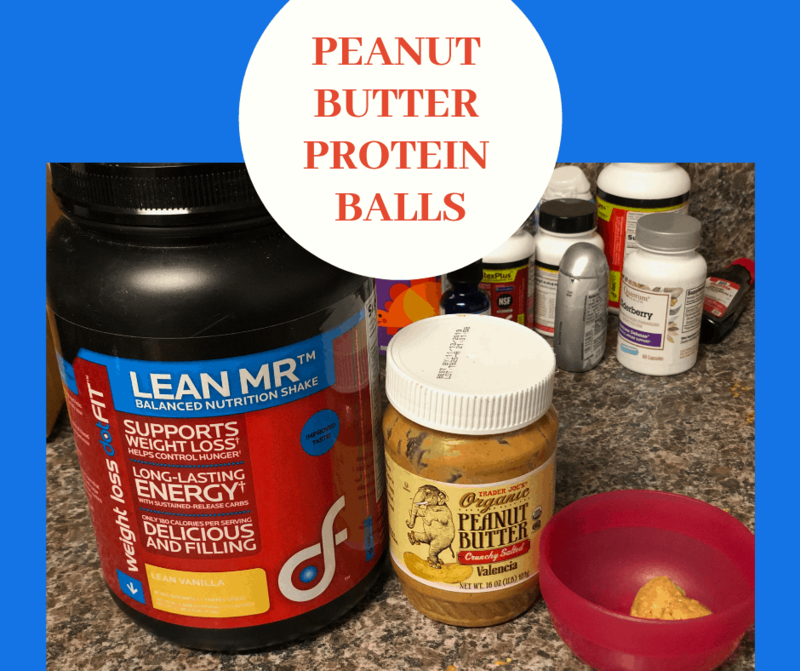 Mix peanut butter and protein powder together until it comes together. Add water very sparingly to help it form a ball. The consistency will be similar to cookie dough. Divide and make as many balls as you’d like. Eat immediately or pack up. Confused by all of the conflicting information from friends, magazines, and trainers? We know how hard it is to stay committed to fitness on your own. Using our years of experience, training education, an in-depth assessment, and your specific goals, we will design a program that will finally help you look, move, and feel great! Start TODAY with a 10 Day Spark.